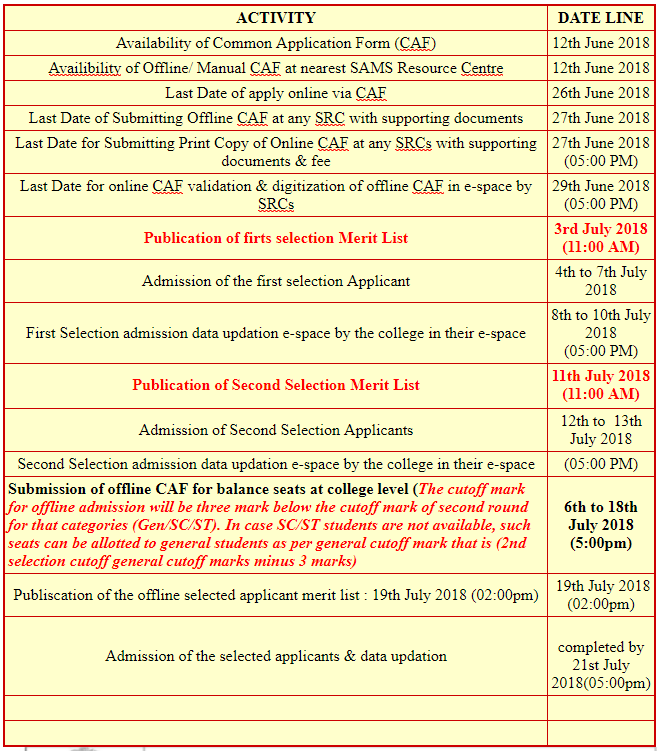 Department of Higher Education, DHE Odisha has finally published the Plus Three (+3) Online application date line. The Dhe Odisha Plus Three admission is going to start from from 12th June 2018. Candidates can submit their form both by online and offline mode. The Plus three online application will be available in the website from 12th June 2018 to 26th June 2018. Last date of submitting the application by offline mode is 6th June 2018. Candidates can apply online by Common Application form (CAF).